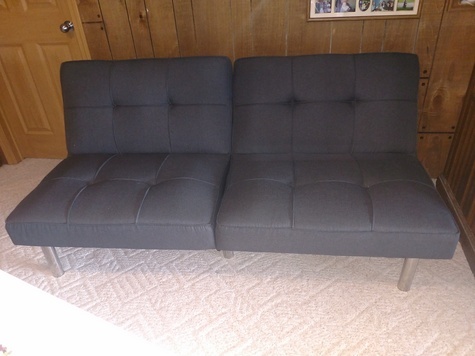 Couch that converts to a sleeper. Dark gray. Great for porch or small room. Measures at about 70" wide.